On 28 November 2012, the first ‘free and fair’ local council elections were held in Somalia since 2002, a reflection of Somaliland’s continued commitment to democracy. Somaliland held municipal elections Wednesday [28 November 2012]. Seven political parties took part in the first poll for local councils since 2002. 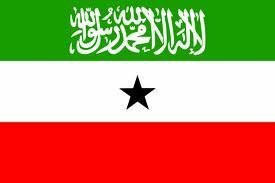 Although Somaliland has declared itself an independent state, it has not received full international recognition since breaking away from Somalia in 1991. Kibble describes Somaliland as “an important player for some people even though it’s an unrecognized state.” He said Somaliland played a “key” role in international conferences on the Horn of Africa. ​​“I think there’s a kind of implicit recognition, not that I’m qualified to talk about recognition as an international observer. But recognition in the sense that people can see its value, and the fact that it’s on this road to a hybrid form of democratization, mixing sort of traditional and democratic forms,” he said. Kibble was in Somaliland for the first municipal elections in 2002. Since then, a parliamentary election was held in 2005 and a presidential vote in 2010. Over 50 IEO mission observers are deployed over six regions, but they were not placed in any areas where their safety could be in jeopardy. The observers come from 18 countries, including the U.S. and Canada, many European nations, Kenya, Uganda and South Africa. The IEO mission will issue an interim report on the municipal elections before it leaves. The findings will be presented to the National Electoral Commission. A final report may be issued in December 2012. The election panel listed nearly 2400 candidates for about 350 council seats.